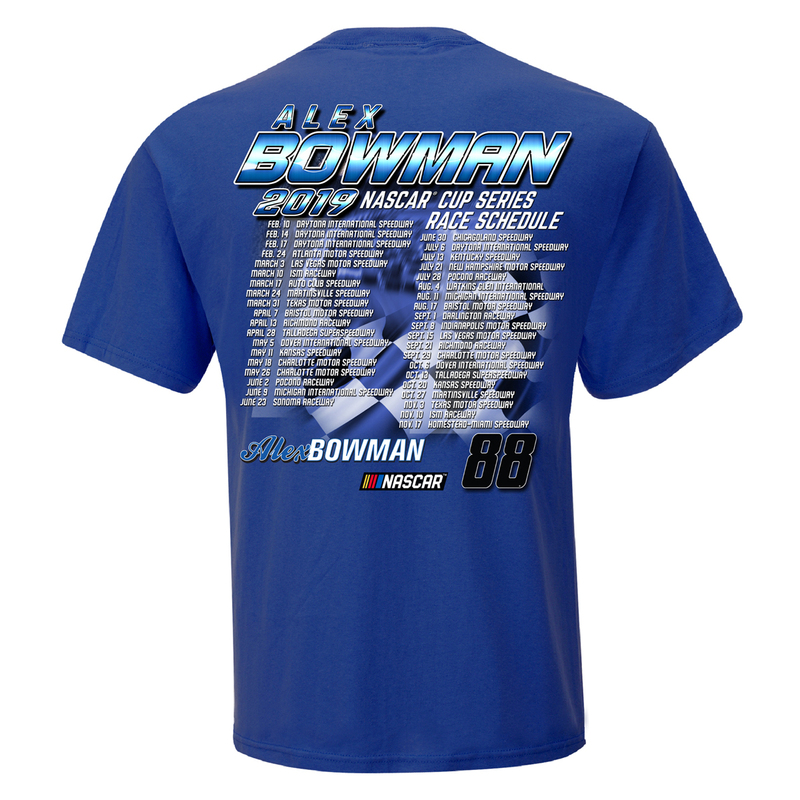 You're all about Alex Bowman racing, so pick up this Checkered Flag 2019 Monster Energy NASCAR Cup Series Race Schedule T-Shirt to show everyone you're the #1 fan. 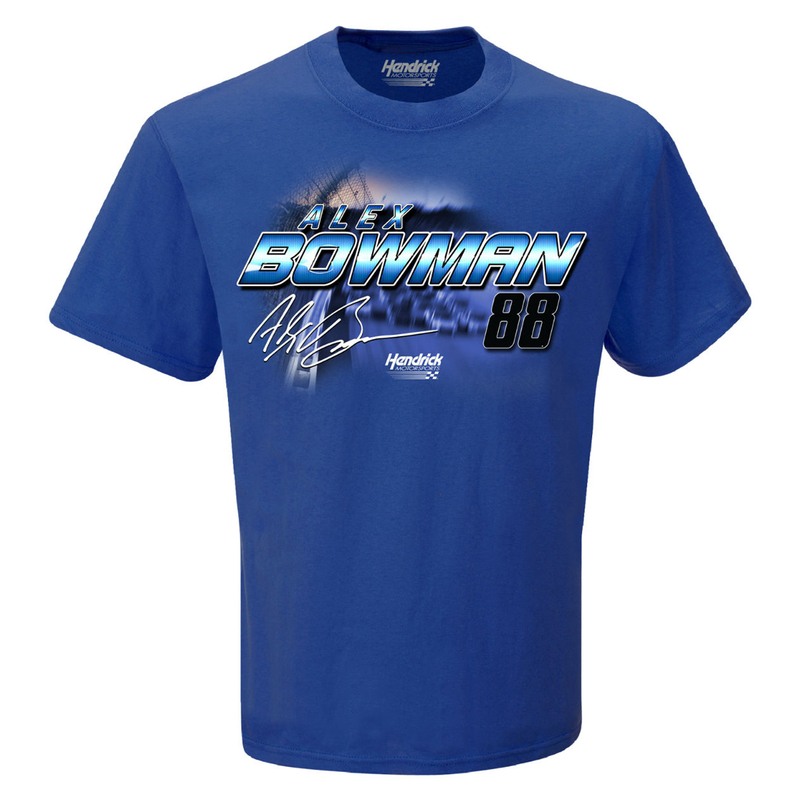 The bold Alex Bowman graphics are perfect for race days. Copyright © 2019 All Rights Reserved. 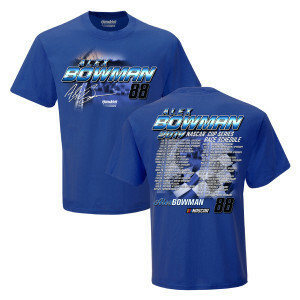 Musictoday II, LLC, is the seller of all Hendrick Motorsports merchandise and is solely responsible for all aspects of your purchase.